First let me start by saying how glad I am they changed the cover. The original (pictured here) was an eye sore. I would have never picked it up with that cover. But the new cover has a delightful, whimsical font that just called to me. I did not realize that this book is not brand new. In fact, it was originally published in 2009. Given that dreadful cover that looked like a bottle of Pepto Bismol exploded on it, it's easy for me to see why I never knew this existed. Unfortunately, I read this book months ago and never got around to writing the review. By now, most of the finer details have escaped me. I can, however, summarize what has stuck with me. First, I really liked Rose. She was plucky. Her sass was endearing. She wasn't over the top or annoying. She stood up for herself but still knew her place. I also felt like her character was really well written. 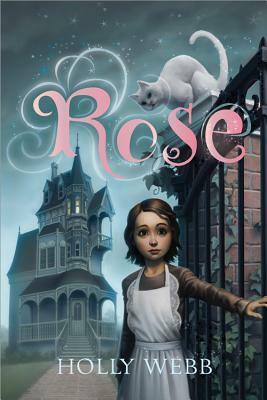 Even though the setting is not present day, the author did a fine job of making it easy to relate to Rose. The supporting characters were also enjoyable. My favorite was the sarcastic talking cat. I also enjoyed the setting itself. 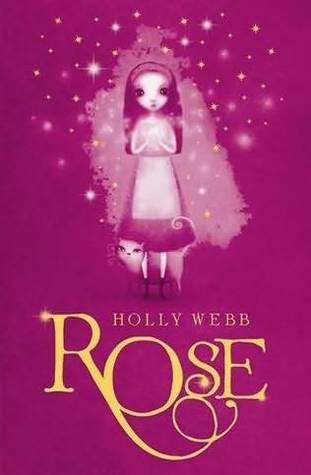 A magical house that sparkles with magic and responds to Rose's emotions. Pretty awesome! Add that to an old-timey location with just a dash of mystery and you have a very remarkable setting. The other thing I remember most about Rose was how quickly the plot moved. I flew threw this book because it was packed full of action. For younger readers, this is so important because we know how short their attention spans are. I also thought the conflict was well placed and unexpected (to a degree). It was pretty easy to determine who the "bad guy" would be, but how the villain was vanquished was a surprise. I can't wait to see what else happens in this series. I did not anticipate Rose's decision in the end, which makes the set up for the continuation to be very interesting.